True to my word in a recent post I visited Mamak in Chatswood for a second and third time to try the other gluten free dishes on the menu. Once again I was happy that I could walk straight in and not have to queue for a seat, though the place was still buzzing with people. 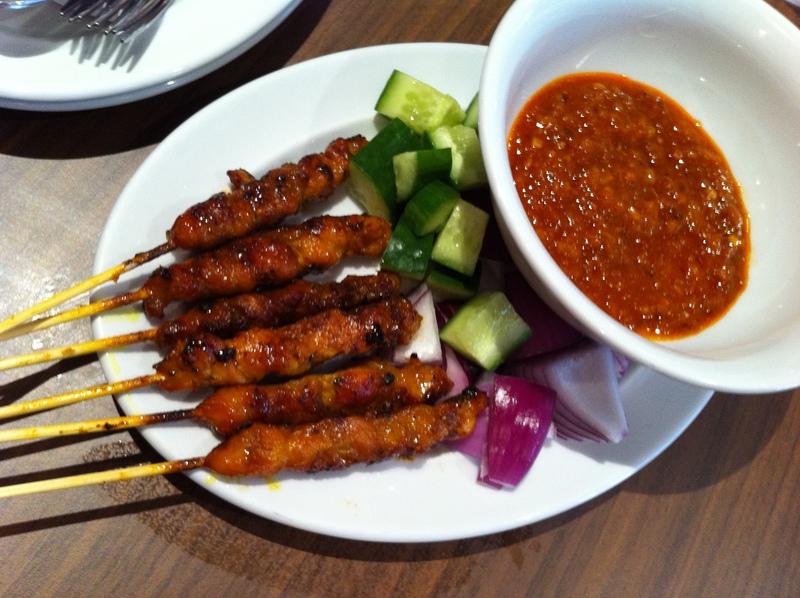 Having tried the Nasi Lemak last time, I decided that I would try the satay skewers and the Sambal Udang (stir-fried tiger prawns with fiery sambal sauce). 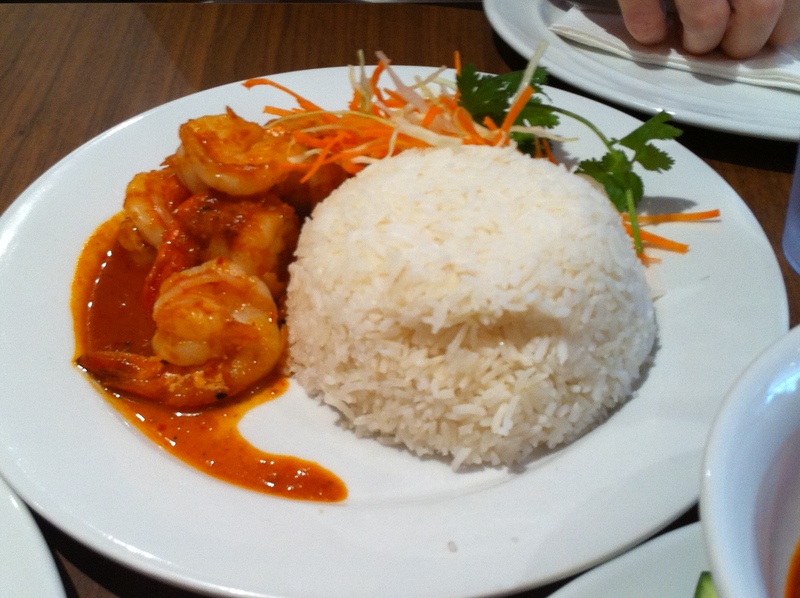 The Sambal Udang is on the lunch specials list for $11.50 (from memory) and comes with rice and some shredded carrot and cabbage. You get about 6 or 7 prawns and true to the description the dish is fiery! And that is saying something considering I love spicy food. The dish has a lot of flavour and I would highly recommend it. For the satay skewers you can either get 1/2 ($8) or a dozen ($14) and chicken, beef or a mixture (if you are getting a dozen). The skewers are much smaller than I expected and therefore are quite pricey. However in saying that 1/2 dozen is plenty for an entree when sharing with friends due to the large size of the main dishes. The sweet and spicy peanut sauce is amazing and they give you plenty of it. I preferred the chicken skewers however the beef were also nice. One thing that I love about Mamak is the presentation of the food. Once again Mamak didn’t disappoint and the service was a lot quicker this time which was a bonus! Great post, the chicken dish I had was delicious too (but it contained gluten). I totally agree with presentation, all the dishes come out of the kitchen perfect! I can’t believe I still haven’t been to the Chatswood one and I even live on the North Shore! 😀 Looks great Petra, glad there’s gluten-free dishes on the menu as well!